Fine Japanese food, Online Order, Dine In, Take Out. 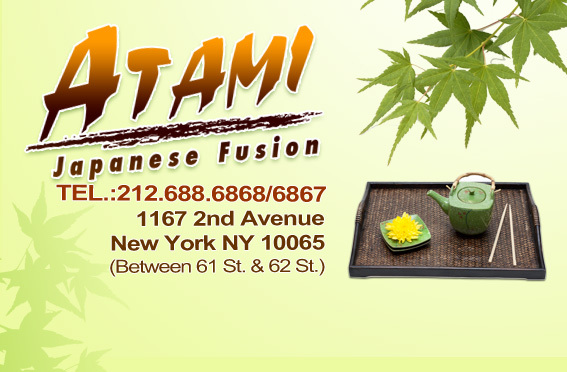 Located at 1167 2nd Avenue New York NY 10065, our restaurant offers a wide array of Japanese foods, such as Miso Soup, Green Salad, California Roll, Zaru Soba. Try our food and service today. Come in for a Japanese Lunch Special or during evenings for a delicious dinner. You can also online order your favorite Japanese food for take out or delivery.